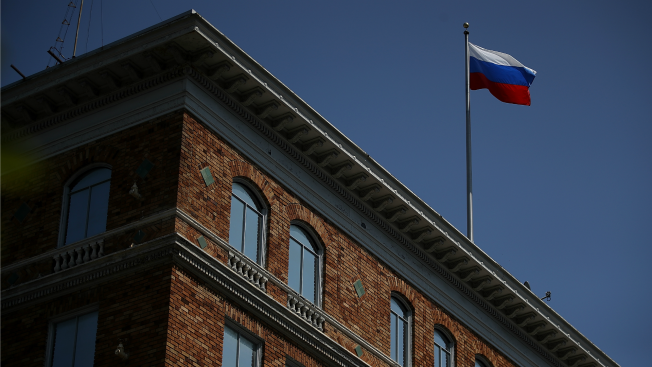 SAN FRANCISCO - A Russian diplomat says the United States is violating international law by searching a two-story brownstone building in San Francisco that was the consul's residence. Russian diplomat Nikolay Pukalov says at least 20 U.S. officials were coming in and out of the property Monday. The U.S. State Department confirmed it conducted a walkthrough to make sure all residents had left the premises. Pukalov, head of the consular division at the Russian embassy in D.C., called the inspection an "intrusion" and a violation of international law and of the Vienna Convention on Consular Relations. President Donald Trump's administration on Aug. 31 gave Moscow two days to shutter diplomatic outposts in San Francisco and other American cities and a month to vacate diplomatic residences.